Trek to Base Camp Mt. Everest! 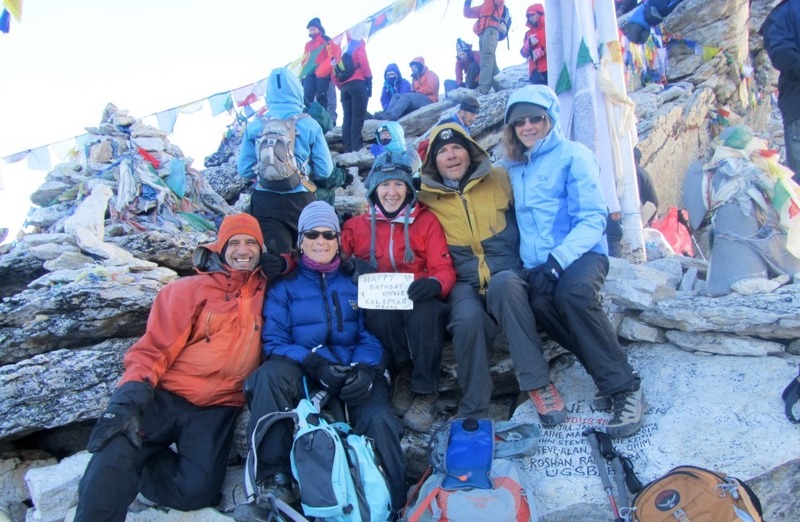 Nepali female staff will join this group on the classic route to Everest Base Camp, through Sherpa villages, among some of the highest mountains on earth! 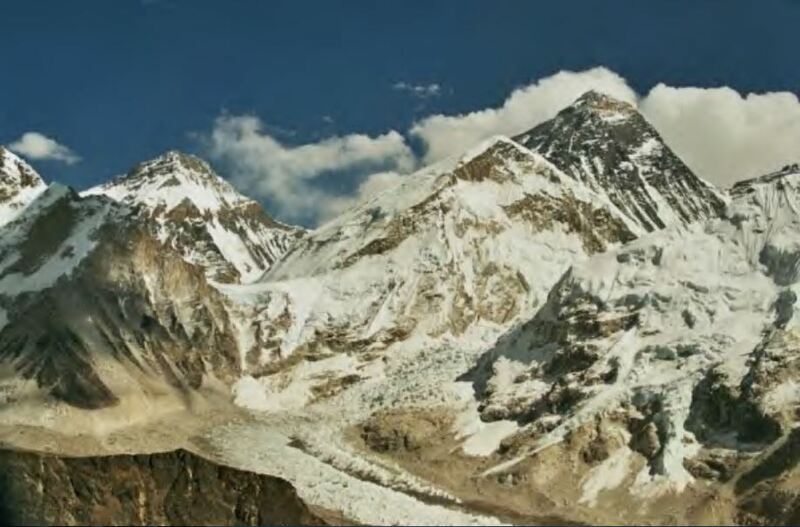 Mount Everest, attracts many visitors who come to glimpse the world’s highest peak but return with much more: an appreciation of the local people who make their home in this high and difficult landscape, a spirit of adventure that brings them back to the Himalayas, and a life-changing personal experiences. Your journey will begin in Kathmandu, the ancient capital city of Nepal. You’ll spend a day exploring the historic temples and landmarks that encompass the bustling city. A scenic flight to Lukla will offer spectacular views of the Himalayas before starting the trek the same day. As you hike through villages of the famous Sherpa people, you will be rewarded with spectacular views of snow–‐capped mountains that rise above the clouds. 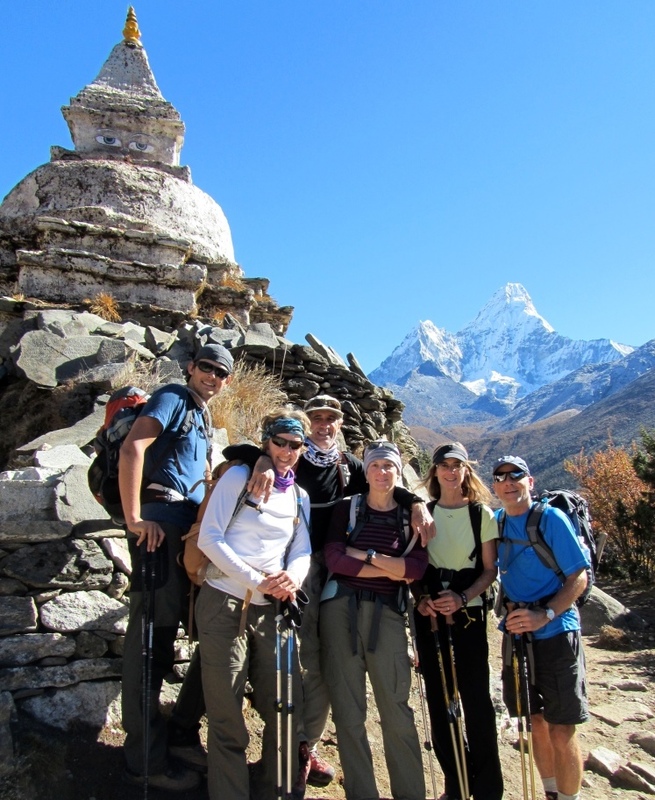 From Gorakshep (5,160m/17,100ft), your highest camp, hike to the Everest Base Camp – the site from where hundreds of climbers attempt every year to reach the summit of the tallest peak in the world. 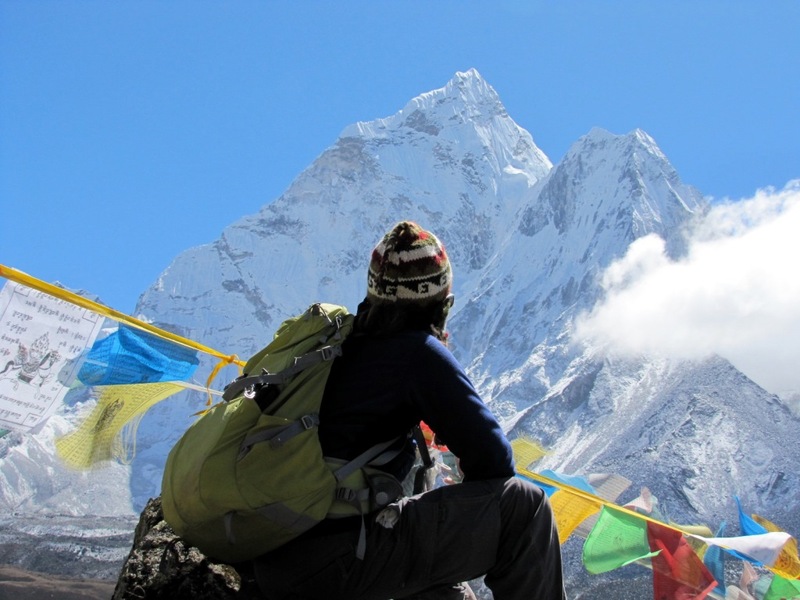 Ascend Kala Patthar (5,545m/18,195ft) for an up-close view of the south face of Everest and other peaks. Then return to Lukla via Khumjung, one of the largest Sherpa villages in the region. 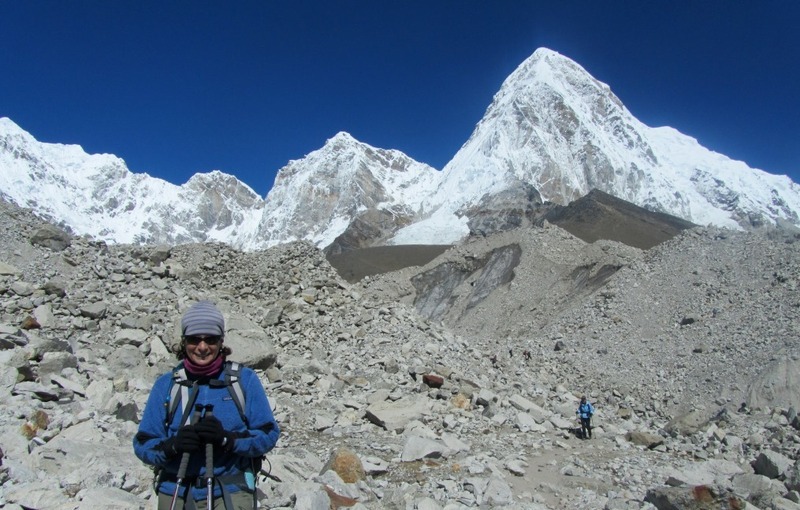 This special Women’s Only Everest Base Camp Trek will also include many “extras” including a post-trek massage, Nepali cooking class, meeting with local women to discuss social issues, a free day in Kathmandu for exploring and more special touches. DISCLAIMER: In recommending and offering trips, Global Adventuress, LLC, acts only as an independent marketing agent for separate and independent tour companies. We provide our services on the express condition that Global Adventuress shall not be responsible to you for any loss, accident, injury, delay, defect, omission or irregularity which may occur or arise, whether by reason of any breach of contract or act, omission, negligence or default of any company or person engaged in or responsible for carrying out a trip or any of the arrangements, or otherwise in connection therewith, or arising or resulting from any terrorist activities, social or labor unrest, mechanical or construction failures or difficulties, diseases, local laws, climatic conditions, criminal acts or abnormal conditions or developments, or any other acts, omissions, or conditions outside our control. Global Adventuress does not operate tours or provide direct services associated with your trip other than marketing services. Be aware, you may not rely on Global Adventuress to inform you about the risks of any trip. You can learn more about those risks from the tour operator directly or other common traveler resources available on the web. You are responsible for understanding all of the risks. By communicating with us in any manner you acknowledge that you have read, understand, and acknowledge this disclaimer.